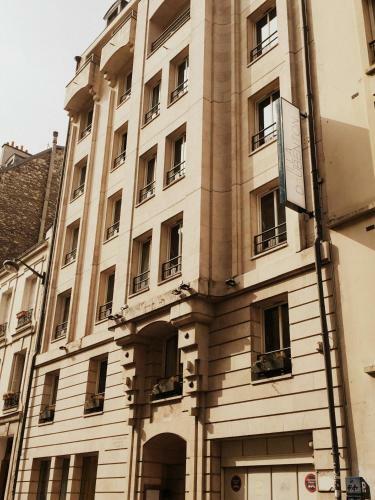 Villa Daubenton is an apartment-style hotel located in the 5th district of Paris’s left bank, between the Pantheon and Notre Dame. It offers studio and duplex apartments for long or short stays with free WiFi. 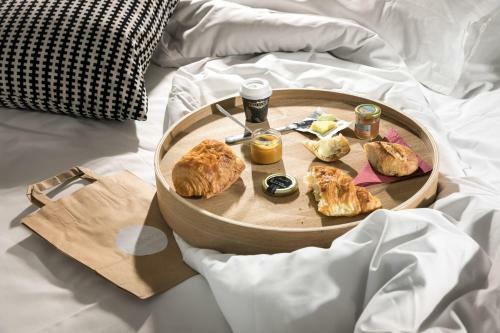 The nearest Metro is Censier-Daubenton, 450 metres from the hotel. 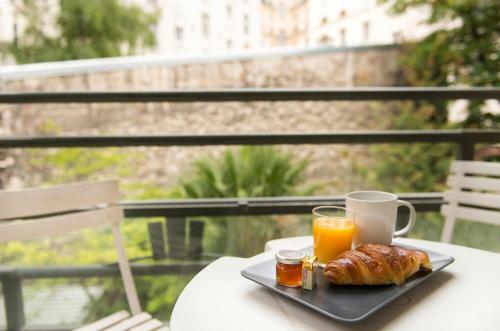 The residence is a 10-minute walk from the Jardin des Plantes and 20 minutes from Notre-Dame. Private car park is available at a surcharge. Maximum dimension of the car park: Length 4.50m x Width 1.90 m x Height 1.80 m Maximum weight 2.5 tonnes. A Pocket WiFi is available for € 10 per day to enable guests to have WiFi access outside of the hotel, throughout city. It can be used on up to 10 devices. Guests are required to show a photo identification and credit card upon check-in. Please note that all Special Requests are subject to availability and additional charges may apply. Free Wi-Fi access and a fully-equipped kitchenette are included in this studio. A bottle of water is provided. Rate: € 123.03 ... € 429.00; select dates below to get current rates. Free Wi-Fi access and a fully-equipped kitchenette are included in this en suite apartment. A balcony and a seating area are also provided. A bottle of water is provided. Rate: € 269.80 ... € 363.00; select dates below to get current rates. Free Wi-Fi access and a fully-equipped kitchenette with oven are included in this spacious, en suite apartment with balcony. A bottle of water is provided.